VATICAN CITY (CNS) — Death and final judgment before the Lord are not frightening if you live being faithful to God, Pope Francis said. “It will do us good to think about this: ‘Well, what will that day be like when I am before Jesus? When he will ask me about the talents he gave me, what I did with them,'” the pope said Nov. 22 during morning Mass in the Domus Sanctae Marthae, where he lives. The Lord will come to judge the earth, Pope Francis said. However, some people don’t recognize that fact, deceiving themselves into thinking the end is nowhere in sight, and how they live on earth has no consequences after death, he said. “I remember when I was a boy, when I’d go to catechism they taught us four things: death, judgment, hell or glory — that after judgment there’s this possibility” of going to hell or sharing in God’s glory, the pope said. But the kids were incredulous, he said, telling the priest he was only saying those things to scare them. Pope Francis said people have to reflect seriously about the kind of mark they will leave behind after they are gone. People should think whether they have been receptive to God and whether “the seed” of his word falls in the thorns or on barren, perilous places or on good soil — when the heart is open and lets the seed grow, he said. Also ask whether the fruit that seed produced was used for the good of all people or kept hidden away for one’s own benefit, the pope suggested. 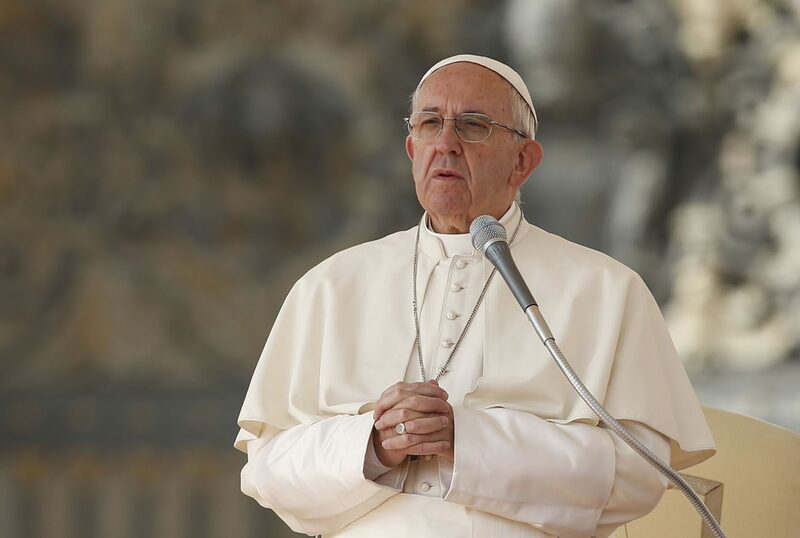 The Gospel says, “See that you not be deceived” by becoming alienated or estranged from God because of the flash or allure of superficial and worldly things, which includes “the deception of living as if you shall never die,” the pope said. When standing before the Lord, he asked, will people be ready and waiting or will they be unprepared, surrounded by distractions? “If each of us is faithful to the Lord, when death comes, we will say ‘Come, Sister Death,’ like St. Francis. It won’t frighten us,” he said.